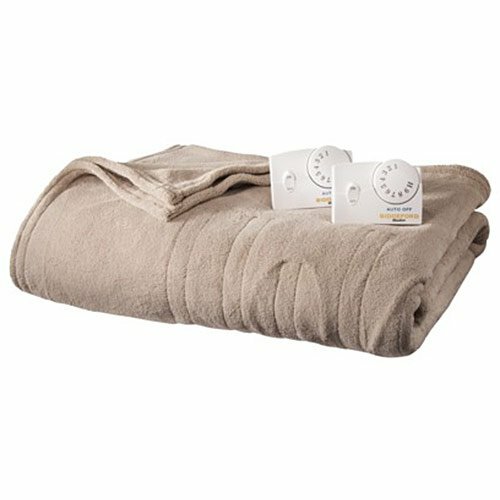 DESCRIPTION Stay warm and comfortable this winter by shopping for the Ogee Plush to Sherpa Throw, brought to you by Comfort Spaces. 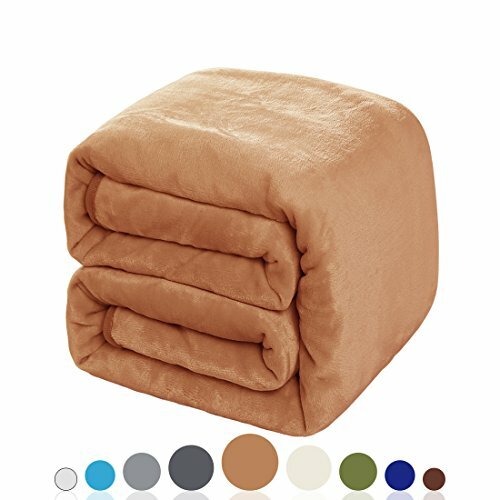 These are perfect if you are just planning to cuddle up on your couch and read a book or watch movies over the weekends or those chilly evenings. The Ogee Plush to Sherpa throw is available in different colors - cranberry, grey, tan, navy, and aqua. 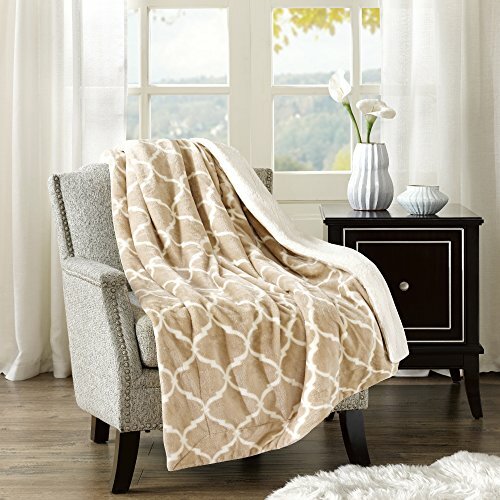 The ogee patterns printed in white make this throw all the more attractive. So grab a throw that matches your style. It is a perfect addition to any room. This throw is not just about good looks and style, the lightweight Plush material provides extra smoothness. The reverse side is Sherpa fabric which offers extra warmth, and hence the throw is most suited for colder days. This throw measures 50(W)x60(L) inches. SERVICE If you don't absolutely love this product, return it within 30 days for a full refund. We'll work with you to resolve any issue and ensure that you're satisfied with your experience. Luxuriously soft and warm, this 7 layers of warmth) heated micro flannel) comforter/Blanket is made by enclosing soft wire technology between specially crafted electrical dampening cloth, wrapping a layer of very soft down alternative polyester on top and bottom and then another layer of our wonderfully soft micro flannel) fabric on the face and back. Then all is quilted together and a stylish satin hem is added as a finishing touch. 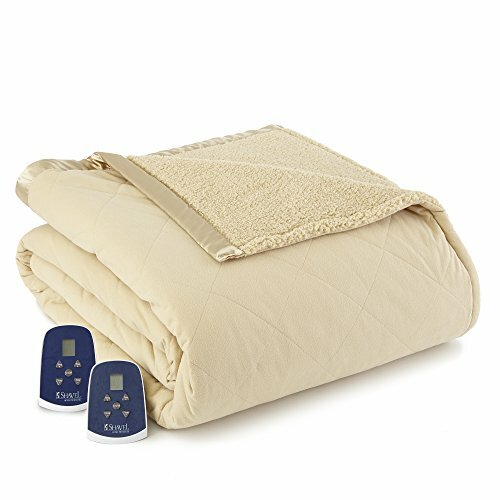 The oversize dimensions and the 'look' of this quilted and heated comforter/Blanket add elegance and style to any room. 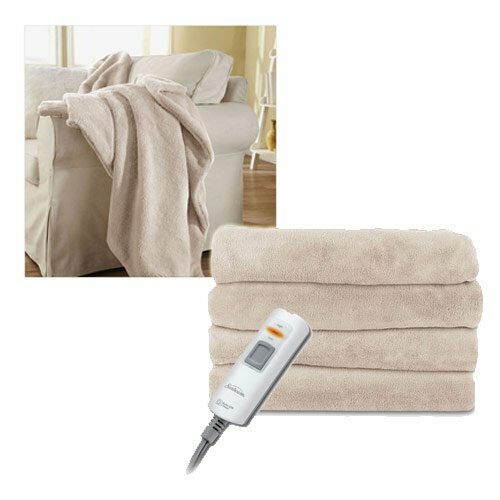 This micro flannel quilted top heated Blanket adds a touch of fashion because it reverses to a beautiful dyed to match Sherpa fabric back. 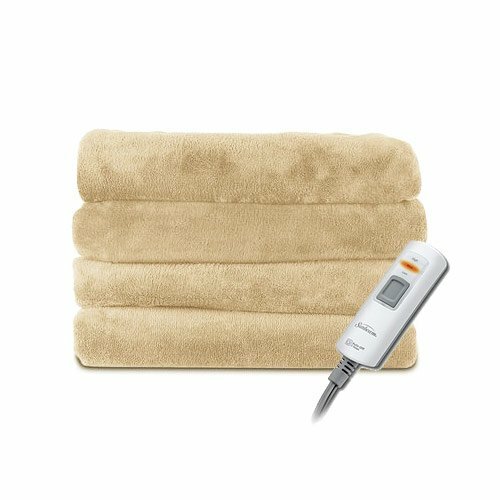 This micro flannel to Sherpa backed heated Blanket has 6 layers which create its special warmth. The micro flannel face is quilted to an inner layer of very soft down alternative fiber. 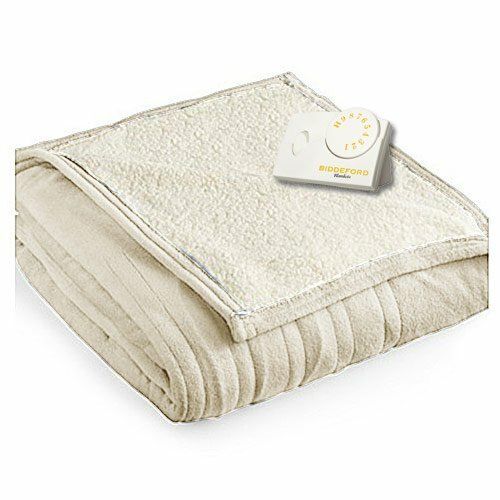 Between the face and back of this Blanket are layers of very soft down alternative fiber, soft wire heating technology, and 2 insulating layers. Micro flannel's luxurious softness and warmth matched with this specially crafted dyed to match Sherpa back combine to offer a Blanket as attractive and cuddly as it is warm. 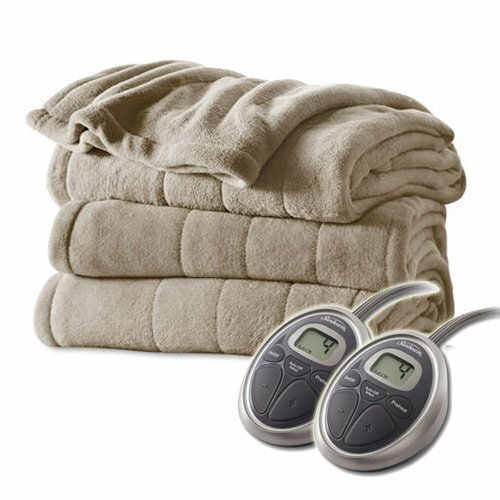 This Blanket has "easy to read and easy to use" controllers with large back-lit numbers. 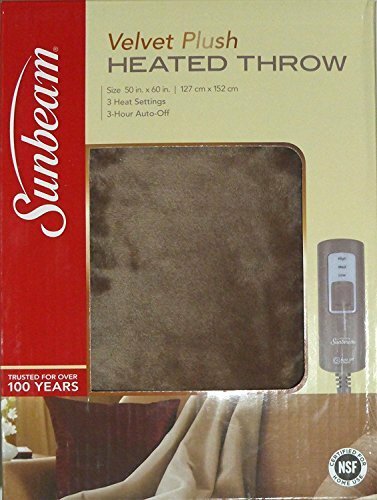 There are 8 secure heat settings, 10 hour auto shut-off, and extra-long 16 foot cords for your comfort-no more pulling the Blanket across the bed when you reach for the control. This micro flannel Blanket is machine wash and dry, ETL tested, and has a 5 year warranty. Snuggle up for a good night's rest! Micro flannel is a registered trademark of Shavel Home Products/patent pending. 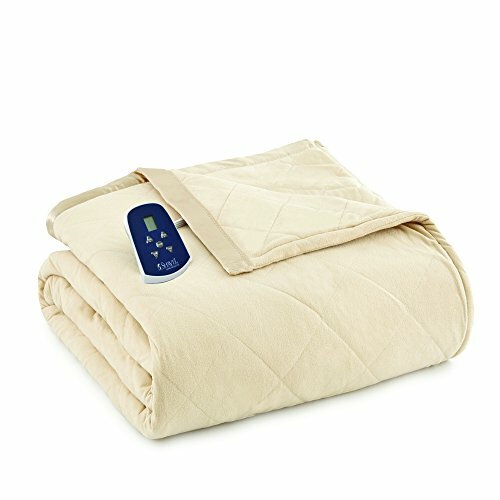 Compare prices on Tan Electric Blanket at ShopPlanetUp.com – use promo codes and coupons for best offers and deals. We work hard to get you amazing deals and collect all available offers online and represent it in one place for the customers. Now our visitors can leverage benefits of big brands and heavy discounts available for that day and for famous brands.